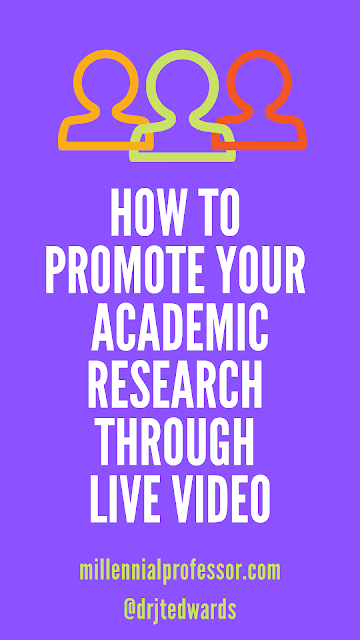 One of my favorite forms of research communication is on Live Video. I love the live feedback and I thrive on the questions of others. 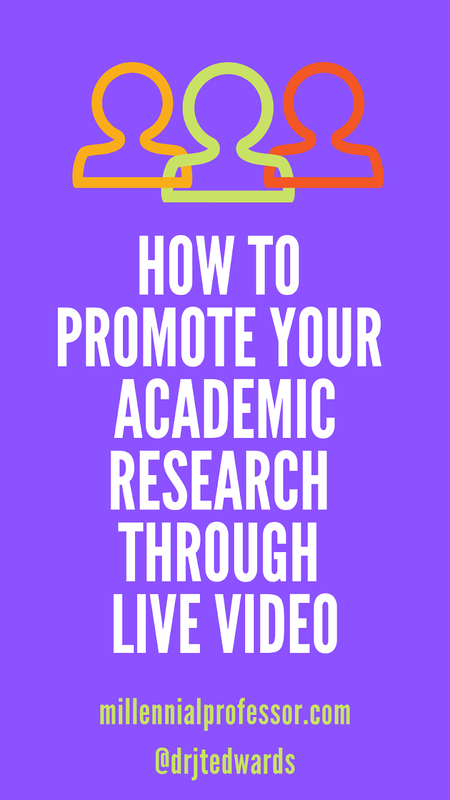 These questions can definitely help you research process and help you develop additional ways of examining your data. 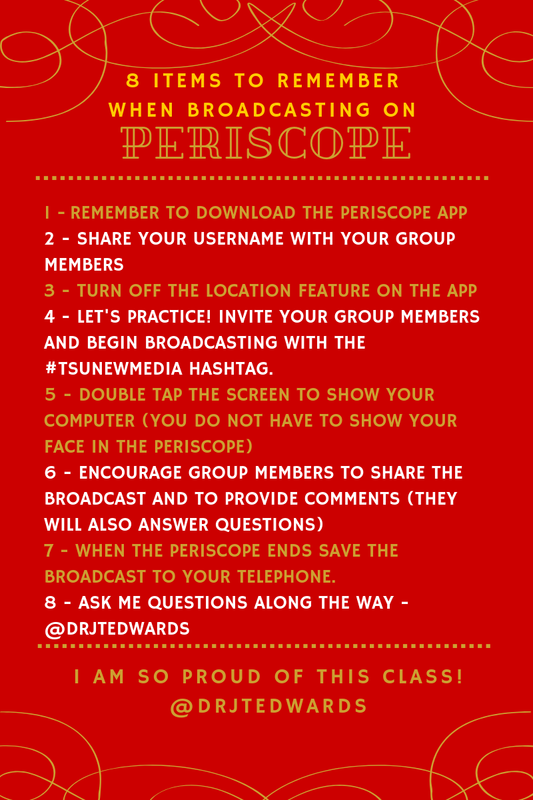 Here's the checklist that I send to the students each semester before the Periscope/Twitter Live sessions begin. 4 - LET'S PRACTICE! INVITE YOUR GROUP MEMBERS AND BEGIN BROADCASTING WITH THE #TSUNEWMEDIA HASHTAG. 7 - WHEN THE PERISCOPE ENDS SAVE THE BROADCAST TO YOUR TELEPHONE.